Our resources and information for new and soon-to-be moms can be found in our online classes, web articles, email newsletters, and events (support groups, luncheons, parenting seminars and workshops, parties, webinars). Expectant, new, and toddler and preschooler moms and dads visit our site often to stay on top of the latest parenting news and events in the New York region and beyond. These parents are highly engaged, extremely passionate, and influential in their community. Our site users share an interest and desire in learning about products, resources, and information pertaining to raising their babies from infancy to toddlerhood. 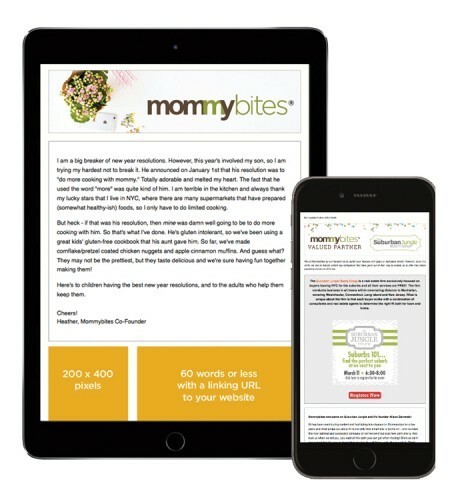 Mommybites is about connecting our community online via our social networks - offering support, educating parents, and sharing resources in the most convenient way possible. Our national blog publishes content weekly focusing on our main categories: newborn, baby, toddler, preschool, big kids, mom, dad, nanny, and grandparents. 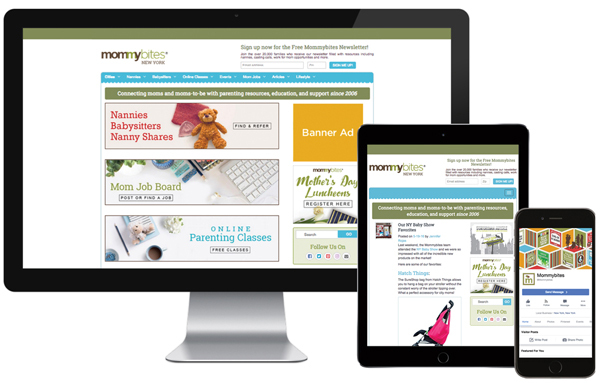 Additionally, we offer a broad digital product line including online partnerships, directory sponsorships, banner advertisements as well as mom, nanny, and babysitter job boards. 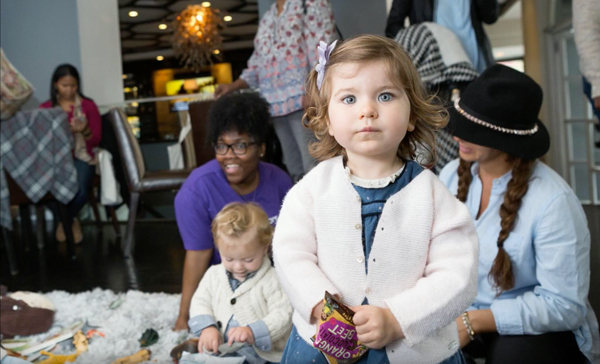 We reach expecting moms, new moms, and moms of toddlers and preschoolers across the New York Metro area. Your product or service has the opportunity to be highlighted in our weekly newsletter going to our 20,000 email subscribers. Our email product line offerings newsletter sponsorships, banners advertisements, and custom dedicated campaigns. Our Mother’s Day & Halloween luncheons bring together over 200 parents to meet, enjoy a delicious meal, and have a fun time rocking out to a live band. These events are a unique opportunity for businesses to get their message and products in front of parents in a personal way. Our online webinars are a unique opportunity for parents can learn from the experts. Partners can sponsor one of our classes and bring their own content to our parents who are looking for advice on how best to solve problems. From best sleep strategies for newborns to information about gifted educational programs, these classes provide an easy way for parents to connect with us and our partners.